This was a really fun book to read. 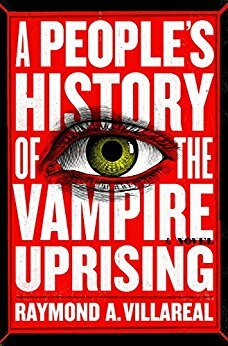 The premise is to imagine what would happen if vampires (or “gloamings” as they’re called in this book) were part of our society. It’s an interesting thought exercise, and has some real parallels to how we treat people of different races today. In the book there is no concrete evidence (yet) that vampires are actually killing humans for blood, though we know that they need animal blood for nourishment. So now we have a new “race” that wants equal rights, that rises into powerful positions in society, and then you have people deciding to become gloamings (“recreated”), which is a dangerous process to undertake. The style is written as an oral history, which was a fun way to experience the book. I highly recommend this one! You’re a fan of Walking Dead (similar concept, how would the world react). You’re looking for a fun, fast-moving book to help you ‘escape’ a little.